Madrid offers many different options for travellers who are visiting the city in autumn, since these mild-weather temperatures are a nice middle ground and you can enjoy the sun during the daytime hours without it being too hot. 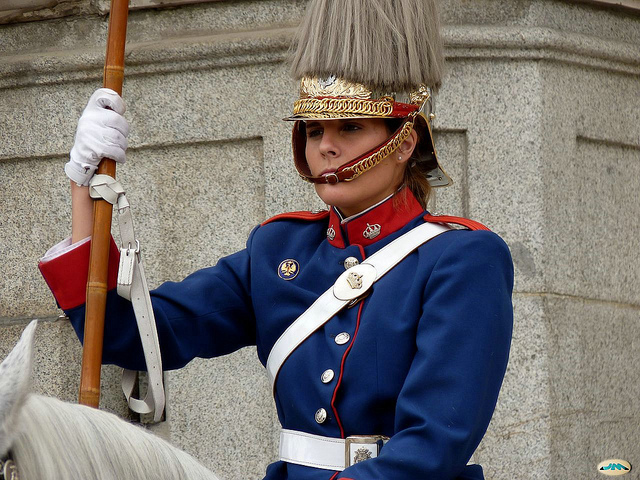 One of the main attractions that you can see every month is the changing of the guard in the Royal Palace. Although the Royal Guard in today’s day and age has a restricted role, in the past it had huge importance in the defence of the crown, also protecting the foreign monarchs or representatives who were on official visits. The oldest precedents of the guard date back to the Eleventh century and with its current nomenclature it was created in 1504. The Royal Guard is currently made up by members of the Spanish army, navy and air force and has approximately 1,500 troops. The changing of the guard and the solemn changing, at the entrance of the Royal Palace, are two events that you cannot miss if you would like to get a better understanding of Spanish history. The Solemn Changing takes place on the first Wednesday of every month except in August, September and January or on rainy days, in which case it is suspended. They go in the Santiago Gate and the event has a duration of 50 minutes. The participants involved in the changing, a total of 400 guard members, are dressed in old uniforms and ride a horse, commemorating the times of the Restoration to the music of operetta and paso doble. The Changing of the Guard takes place every Wednesday and Saturday of the year in the morning, from the entrance of the Príncipe Gate. In autumn, the event lasts for three hours. The guards, with a gala uniform from the early Twentieth century, will carry out the event to the sound of the piccolo and the drums playing military marches.